Slosburg Hall, Orpheum Theater, 409 S. 16th St.
Opera Omaha wants to rock out its 55th season, so it brought big opera back. “We wanted three larger-than-life productions that would excite and energize as many music and art lovers as possible,” Opera Omaha General Director Roger Weitz said via e-mail. He’s off to a great start with La Traviata, a quintessential Italian opera in three acts written by the master himself, Giuseppe Verdi. 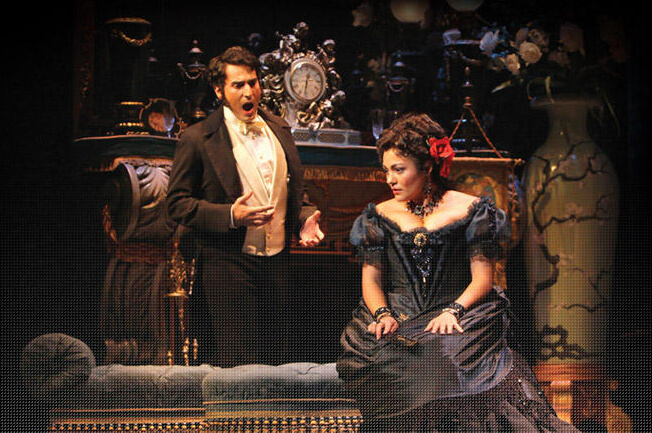 La Traviata, also known as “the opera in Pretty Woman,” covers the typical subject matter – love, betrayal and death – in the grand fashion that only Verdi can conjure. Opera Omaha managed to snag the raven-haired soprano Inna Dukach to star as Violetta, La Traviata’s central character. Dukach spent much of last season in lead roles of Italian operas, including Nedda in Pagliacci for Israeli Opera, multiple Mimis in various productions of La Boheme, and the title character for Pensacola Opera’s Madama Butterfly. Her co-star is the young and energetic Joshua Kohl as Alfredo. “We chose to start the season with La Traviata as it perhaps one of the most popular operas of all time and we wanted to draw as much attention to the start of our new exciting season as possible,” Weitz concluded.